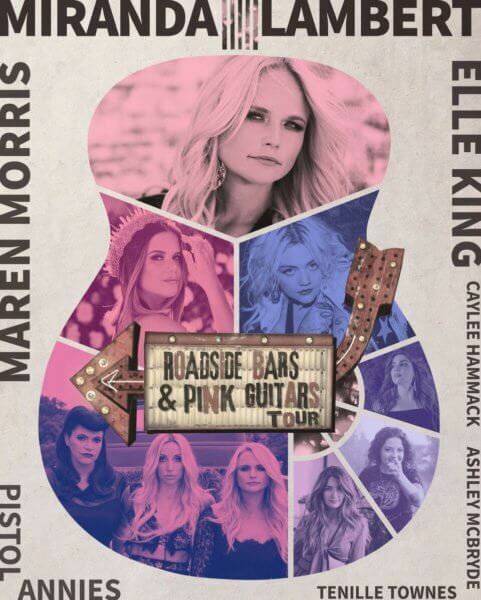 Miranda Lambert will be embarking on her lengthy “Roadside Bars & Pink Guitars” tour on Friday, September 13, 2019 in Uncasville, Connecticut. The two-time Grammy Award winner will hit cities including New Orleans, Fargo, Lake Tahoe, Jacksonville, and Baltimore between June 8th and November 23 when the tour wraps up in Greensboro, North Carolina. Lambert will be joined on the road by Maren Morris, Elle King, Pistol Annies, Tenille Townes, Ashley McBryde, and Caylee Hammack on select dates. Tickets go on sale via a special Citi cardmembers presale on Tuesday, April 9th at 12pm local time. General public tickets for some dates are set to go on sale on Friday, April 12th at MirandaLambert.com and LiveNation.com.